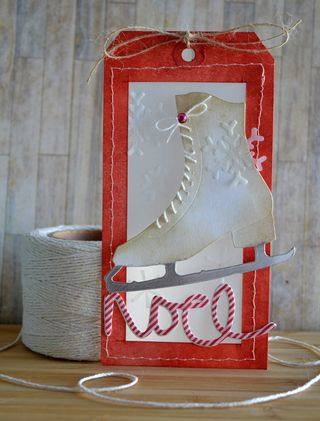 Love, love, love that skate die from Tim Holtz…don’t you? But since I didn’t have it…had to come up with something different. So I made a wreath…mind you I’m no Kittie Caracciolo so it’s a very “dumbed down” version of one of hers *grin*. I didn’t do the stitching on my tag and instead of snowflakes I added stars. I followed Teri’s instructions for the basic tag and then sort of did my own thing. The sentiment is a Simon Says Stamp die. The wreath’s been made with a Martha Stewart punch and the stars are punched from an EK Success punch. 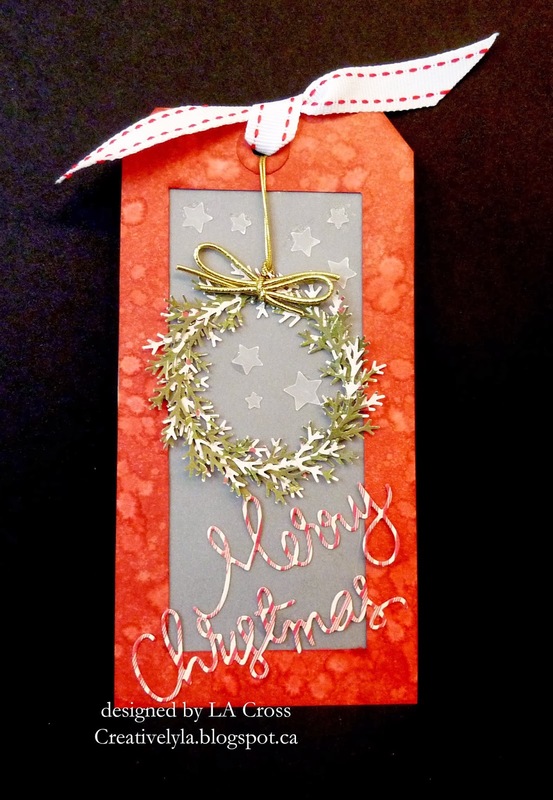 While this is definitely not my favorite of the tags I’ve completed…it works! Great take on Teri's design … love that pretty wreath.